You'll be £9.50 closer to your next £10.00 credit when you purchase Invasion 1982. What's this? Falkland Islanders were the first British people to come under enemy occupation since the Channel Islanders during the Second World War. This book tells how islanders' warnings were ignored in London, how their slim defences gave way to a massive invasion, and how they survived occupation. While some established a cautiously pragmatic modus vivendi with the occupiers, some Islanders opted for active resistance. Others joined advancing British troops, transporting ammunition and leading men to the battlefields. Islanders' leaders and 'trouble makers' faced internal exile, and whole settlements were imprisoned, becoming virtual hostages. 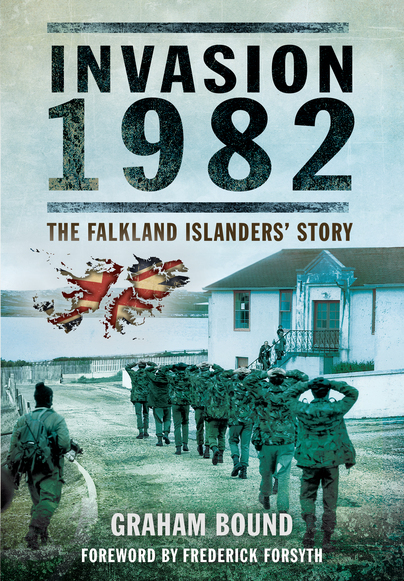 A new chapter about Falklands history since 1982 reveals that while the Falklands have benefited greatly from Britain’s ongoing commitment to them, a cold war continues in the south Atlantic. To the annoyance of the Argentines, the islands have prospered, and may now be poised on the brink of an oil bonanza. 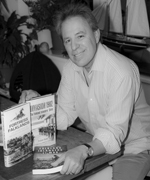 I enjoyed the book, it is very worthwhile and the loyalty to Britain of the Islanders shows through in all parts of the book and makes it more understandable why Britain should have sent a taskforce thousands of miles from one end of the Atlantic to the other to retake the Islands in the name of the Queen.